The Community Support Committee is hosting a “Charades Tournament” at the Lodge on Wednesday, May 7. Doors open at 6:00 p.m. and the tournament starts at 6:30 p.m. It’s $10 per person and it’s all for a good cause. Two people per charade team. Pick a partner or meet one at the Lodge for the tournament. Top two teams win prizes! There will be hors d’doevres, a door raffle and lots of other fun. All proceeds go to NorCal’s Camp Grizzly (a summer camp for deaf and hard of hearing children). Our own Christopher Young (an active member – let’s support Chris!) is organizing this event for this great cause. 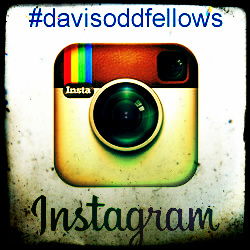 On April 18, 2013, the Davis Odd Fellows Lodge #169 hosted “A Taste of Davis”. Twenty-five restaurants, wineries, and breweries from Davis, CA and Yolo County offered samples of their wares to guests of the Lodge. Both floors of the Lodge were opened to the community and over 250 community members attended this $40 per person event. 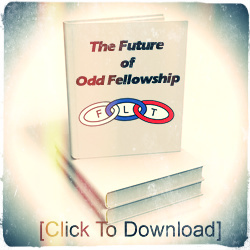 The event was organized by a committee of 17 Odd Fellows and Pledges, co-chaired by Lea Rosenberg and Dody Black. The fundraiser was a smashing success, raising over $10,000 for the Lodge and for our good works in the community. The annual “Taste of Davis” will be Thursday, April 18, from 6:00 to 8:30 p.m. at the Davis Odd Fellows Lodge. The event will use both Upper and the Lower Halls. We have 26 restaurants, wineries and breweries providing samples of their fine food, wine, and beer to guests. Please see the attached flier which identifies the vendors! I encourage you to buy tickets to this event, and support the Davis Odd Fellows Lodge and the good works we do in our community. Tickets are on sale right now at Avid Reader Active in Downtown Davis. Avid Reader is just a couple of blocks from the Lodge at 615 Second Street. Tickets are just $40 per person (the Davis Chamber of Commerce ran this event the last couple of years and charged $50 per ticket – so it’s a real bargain this year). You can’t go to a restaurant and have a nice meal with wine or beer for less than $40 – and on April 28 you can sample some of the finest from 26 restaurants, wineries and breweries. Plus, it’s a huge social event for Davis. You won’t want to miss it. Only 200 tickets to this event will be sold, so if you plan on going, I encourage you to buy your tickets soon. Only ticket holders can enjoy this event. 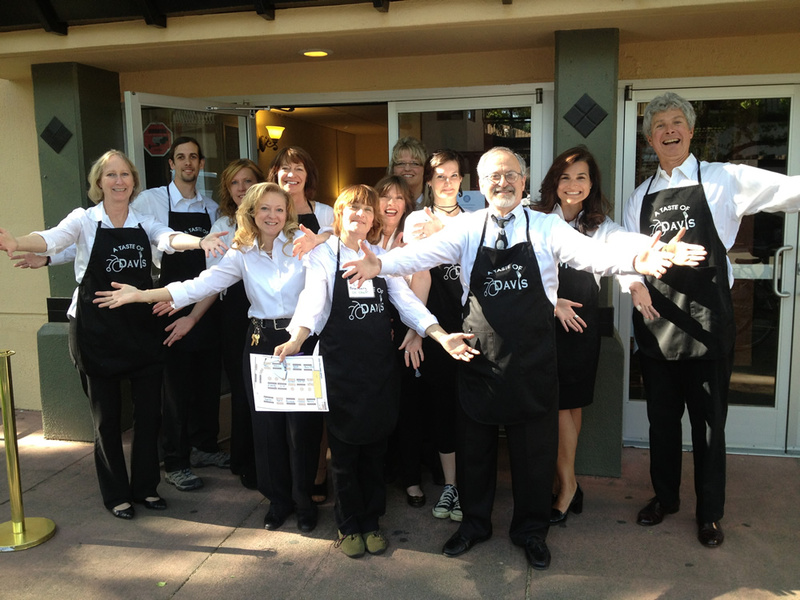 All proceeds from Taste of Davis will be retained by your Lodge to assist us in our community and charitable giving. In addition, we have provided $2,000 in tickets to the Yolo County Food Bank – they can retain all proceeds from those ticket sales to aid them in their work to feed the hungry. Tickets are now available for the 4th annual Taste of Davis. In the last two years, when Taste of Davis was run by the Davis Chamber of Commerce, tickets were $50 per person. This year, Taste of Davis is run by the Davis Odd Fellows and we have reduced the price to $40 per person. It’s hard to go out for a fine dinner, with wine and beer, for that price. But you can do it at the Lodge on April 18. In addition to the food and drink, this promises to be the social event of the year. 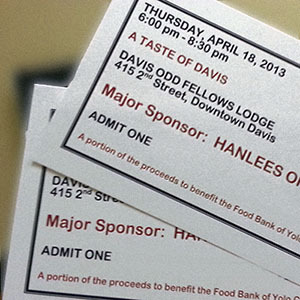 Help support your Lodge by purchasing tickets for Taste of Davis. Tickets are available for you to purchase at Avid Reader Active in Downtown Davis. A Committee of 16 hard-working Odd Fellows and Pledges is organizing the 2013 Taste of Davis, Co-Chaired by Lea Rosenberg and Dody Black. The beneficiary of this event is the Food Bank of Yolo County. “Breakfast with the Bunny” is this Saturday morning, March 23. 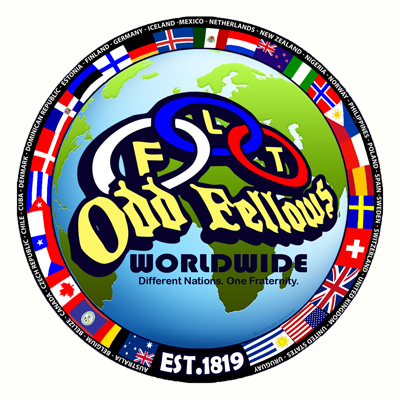 This is a fun event, particularly for small children, that the Odd Fellows Lodge puts on for the community. The cost per ticket is $10 and children and adults get to enjoy a Continental breakfast, a parade, and the “Eggstravaganza”. And, of course, “The Bunny” will be there. The event is this coming Saturday morning at the Lodge beginning at 9 a.m. (and ending just before noon). A flier is attached. Tickets can be purchased today and tomorrow at Avid Reader Active in Downtown Davis and Common Grounds in South Davis. Tickets will also be available for purchase at the door at 9 a.m. on Saturday morning. If you have children or grandchildren, particularly in the age range of 3 to 7 – purchase some tickets and bring them along – adults have almost as much fun as the kids at this event! Breakfast with the Bunny is co-chaired by Lea Rosenberg, Barb Geisler, and Jeannie Pytel.